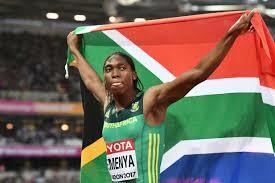 Caster Semenya ended In-Site’s campaign at the IAAF World Championships on Sunday by racking up another international title, on the 10th and final day of the biennial showpiece in London, England. Lining up as the pre-race favourite, after stunning her opponents by claiming the 1 500m bronze medal earlier in the week, Semenya made no mistakes in the 800m final. Producing a well-judged tactical effort, she delivered a blinding kick down the home straight to win gold in 1:55.16, breaking her own South African record of 1:55.27 which had been set in Monaco last month. “I’m lucky to have a great support team who work with me. Full credit to them,” said the Olympic gold medallist and former world champion. “Another world title is a fantastic honour for me and I love to do it here in London. It was a superb championships for In-Site athletes, who contributed five of South Africa’s record six medals. Wayde van Niekerk retained his 400m global crown and bagged silver in a hard-fought 200m final, while Ruswahl Samaai earned bronze in the long jump contest. “Well done to all our athletes who competed in London, and congratulations to all the medallists. They have delivered stunning all-round performances,” said Peet van Zyl of In-Site Athlete Management.